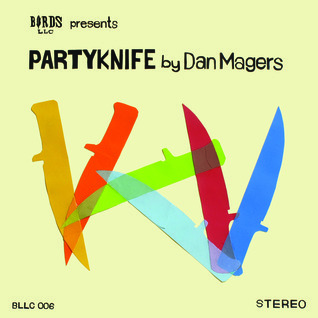 Partyknife reminds me of a really great indie rock album, like GBV's Bee Thousand or Pavement's Slanted & Enchanted. I loved the randomness and looseness of the poems as they alternated between bluntly awkward sexual proclamations ("I had an anxiety attack during the three-way"), funny abstractions ("Looking at my face without mirrors/just blew my mind"), and sad winking ("Crying is just nature's way of saying you're wrong"). He's coming to Portland in October. I want to drink a beer with him. Sign into Goodreads to see if any of your friends have read Partyknife.